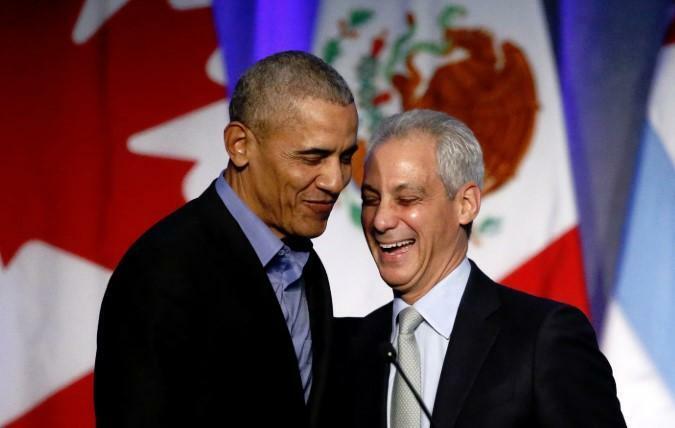 Which leaves only debt as the "solution", one which reportedly came after Chicago leaders gave up on actual long-term economic solutions such as budget cuts, reductions in benefits and tax increases. With those pesky old "traditional" ways to shore up in the city's finances seemingly causing too much austerity for America's third largest city, they have instead embraced the new school of economics in the form of considering a $10 billion bond issuance, one which would push pension obligation bond issuance in Chicago to a 15 year high. The city's deep and thoughtful plans for the proceeds of the bond offering are simple: invest (i.e., gamble) and try and earn more from the bond proceeds than they will have to pay out. And what better time to gamble than 10 years into a bull market and a credit cycle that hasn’t corrected in any meaningful way yet? The Wall Street Journal points out that the track record of these bonds is mixed. They have helped catalyze bankruptcies in Detroit, Stockton, California and San Bernardino, California. With that being said, these bonds have been a popular tool to attempt to solve pension gaps: more than 400 governments have issued these types of bonds over the last 30 years. The state of Illinois issued a $10 billion bond back in 2003, which has so far been the largest by any US city or state. But that bond did not help out Illinois, as now the state has reportedly just 35% of what it needs to afford what it owes to its workers. 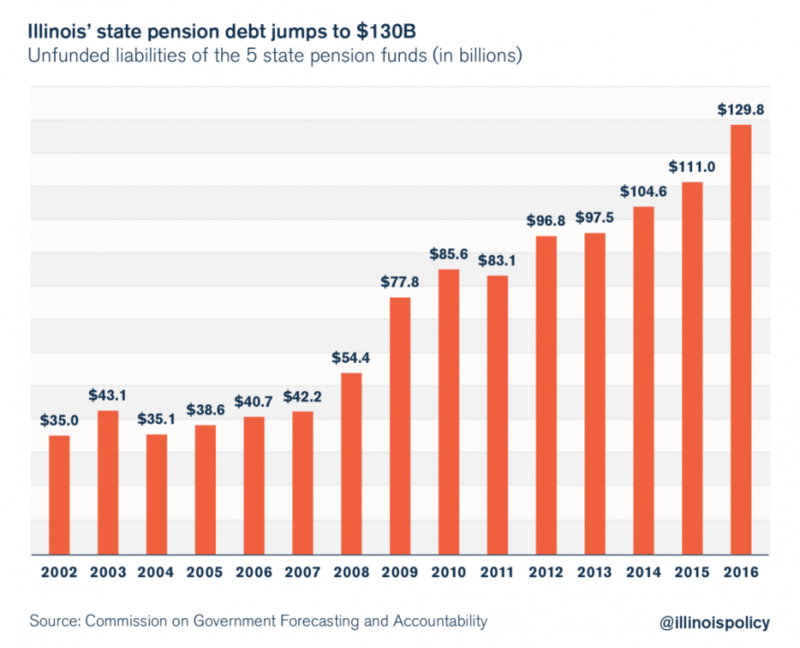 Stunningly, that failure has apparently spurred talks of a $107 billion pension obligation bond deal which was first floated first in January, but believe it or not, hasn’t gained momentum according to the WSJ - maybe because not even $107 billion would be enough to fully fund the Illinois pension system, which owes over $129 billion after years of failing to make adequate annual contributions. That said, these bonds, like any refi, can be beneficial when done in conjunction with cost cutting and increasing revenue. Houston is a great example, where a $1 billion bond that they issued in 2017 was called a "credit positive" event by Moody’s – because it was part of a much larger systemic change. Obviously, taking on more debt without making other changes isn’t a credit positive event in any situation. It's simply more debt, on worse terms. More importantly, the performance of these bonds is highly correlated to how the stock market is doing. 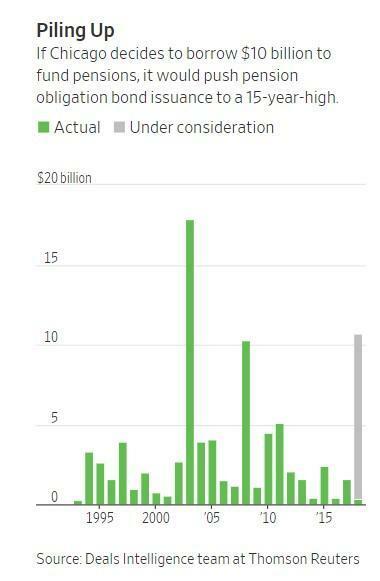 For instance, the WSJ article notes that pension obligation bonds issued since 1986 had mostly lost money for the borrowers. It was only in 2014 that it was reported that these losses had reversed and the returns were exceeding borrowing costs. The one obvious major change is likely the fact that the stock market had nearly doubled over the prior 6 years. 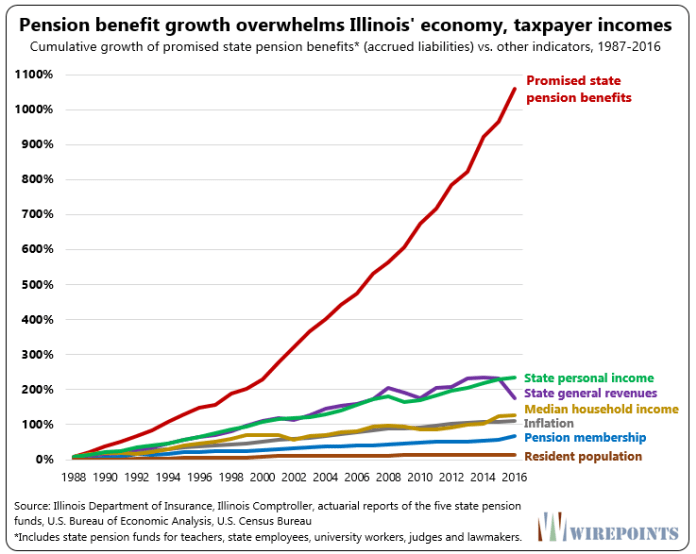 Meanwhile, Chicago's real problem, as in the case of many other cities, is that its pension mess is of the government's own making. The $28 billion shortfall emerged from ignoring financial basics: too few contributions, optimistic assumptions and overpromising on benefits. Not only that, but Rahm Emanuel has also already lobbied for tax increases as a part of his attempt to right the city's finances. Issuing debt became an option in 2017 after GCM Grosvenor Chairman Michael Sacks, who acts as an advisor to Emanuel, made a presentation to him about the city's potential options. The presentation assumed that the bond would carry a 5.25% interest-rate. There seemed for a second to be one voice of reason, when as the WSJ describes, the director of municipal bond research at Evercore Wealth Management, Howard Cure, was asked about the deal and he simply stated that it would weaken the city's credit. But, like any good banker, he then went back on his statement and said that if the rate was high enough, he wouldn't rule out buying it (and perhaps underwriting it for a handsome fee). The city's finance Chief is expected to decide on the idea next week.